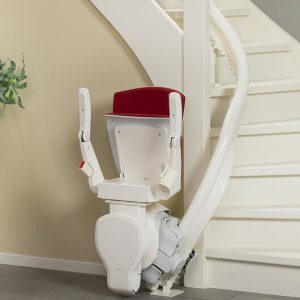 Multicare is always looking for brand new ways to innovate in the world of curved stairlifts, and this product from our range of Handicare 2000 curved stairlifts is definitely one of the best products we have for ensuring a safe and secure solution to reduced mobility. 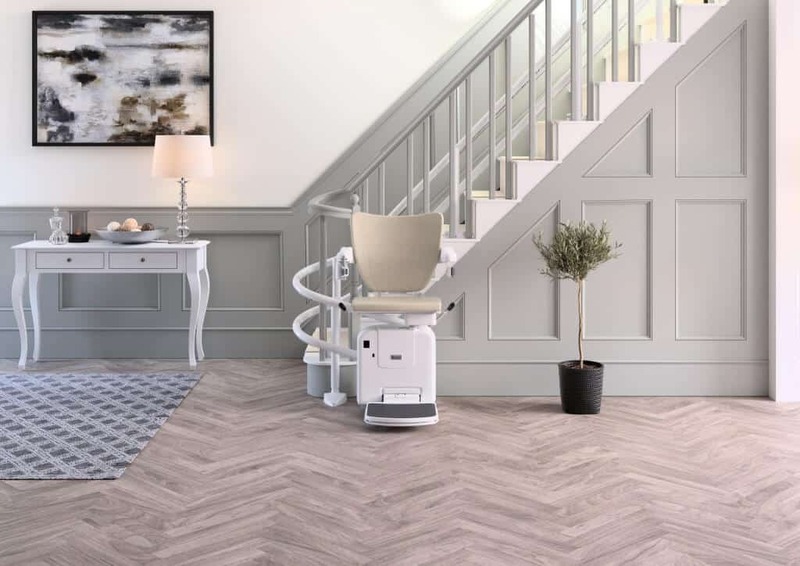 This product embodies our Handicare 2000 curved stairlifts in that they perfectly suit most staircases with bends or corners, with a track that can be designed to take you from the ground floor directly onto the landing level to suit your exact needs. 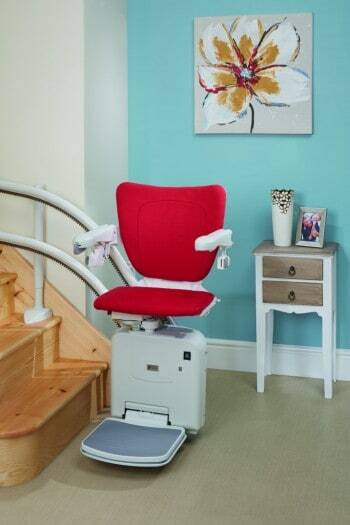 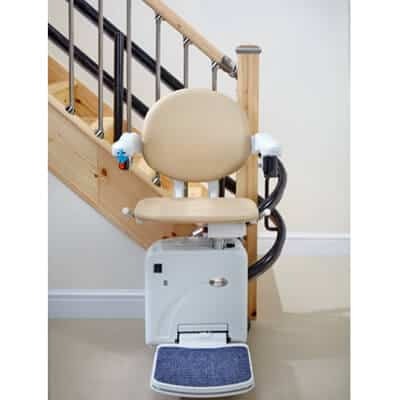 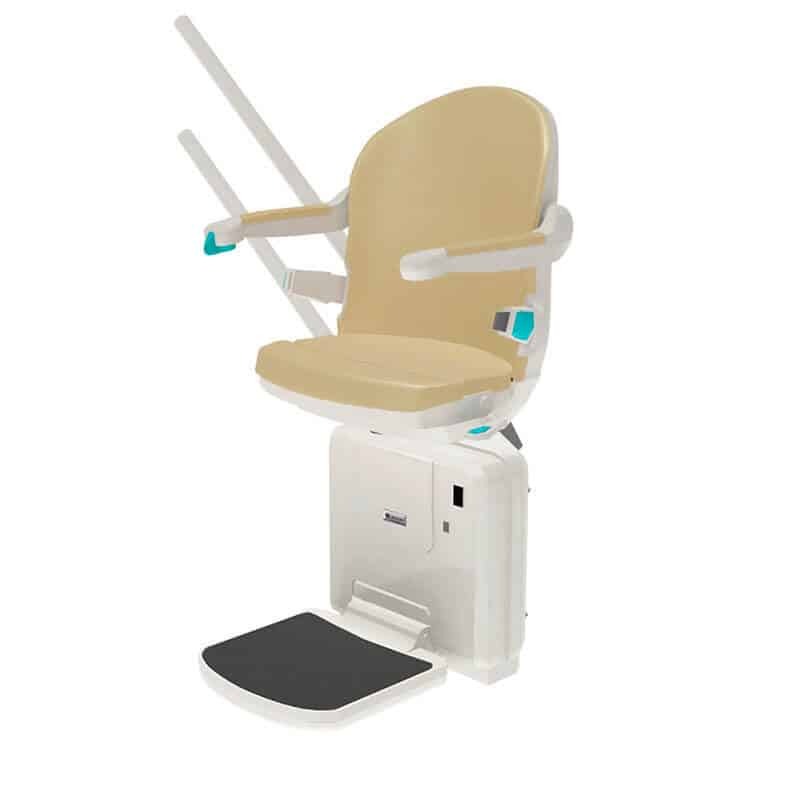 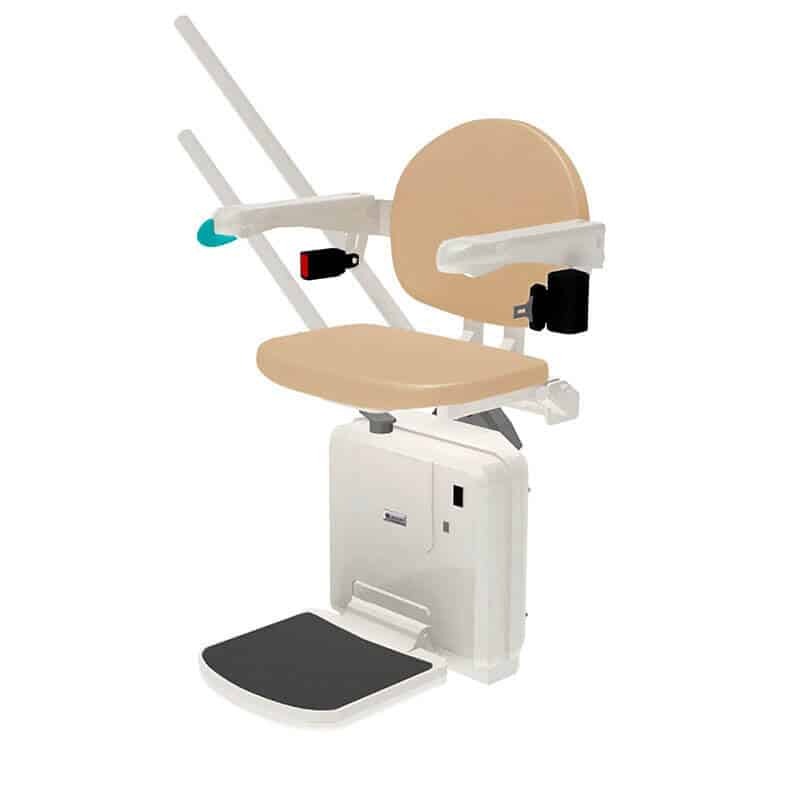 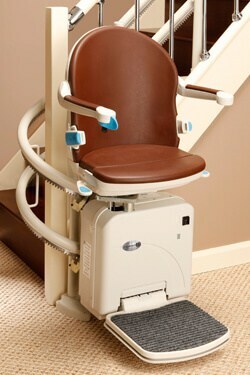 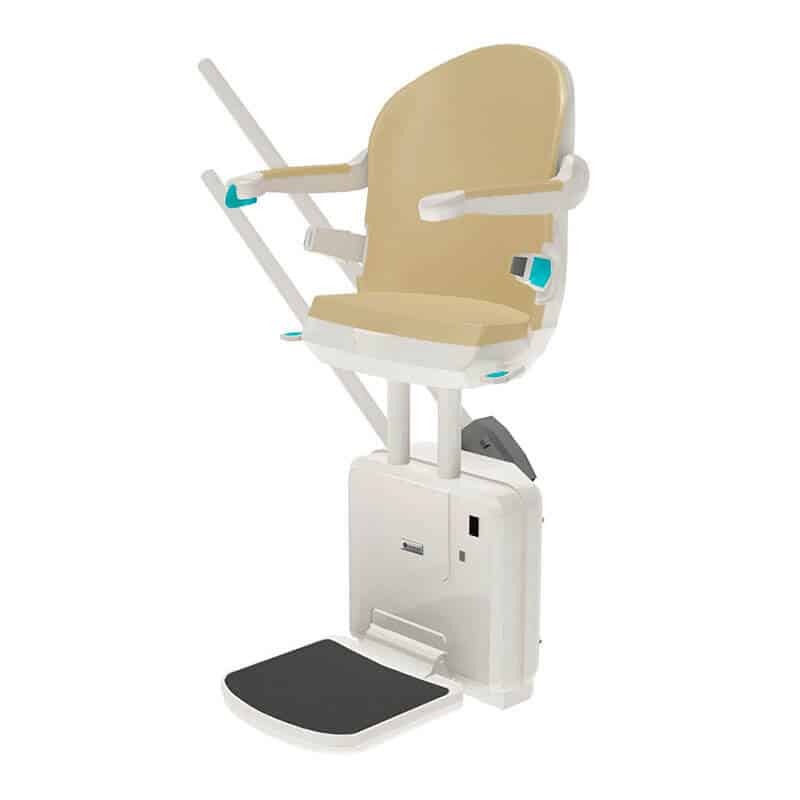 Like all of our top quality Handicare 2000 curved stairlifts, this stairlift comes with the option of either going around the external or the internal bends of the staircase. 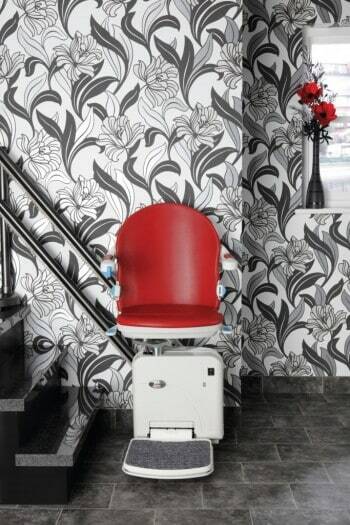 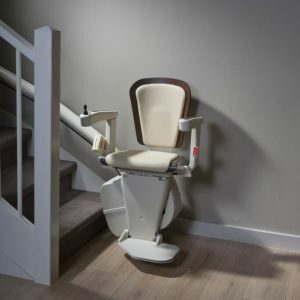 It can be further customised aesthetically to fit in with any chosen décor finishes, ensuring that this twin track stairlift never looks out of place in your home. 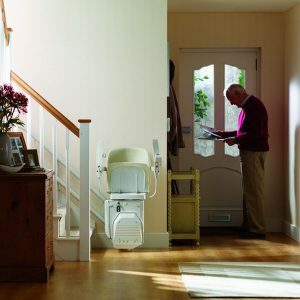 All of our Handicare 2000 curved stairlifts can also be combined with a powered automatic hinge to prevent the track from obscuring any doorway at the base of the stairs, making this one of our most convenient stairlifts Bury yet. 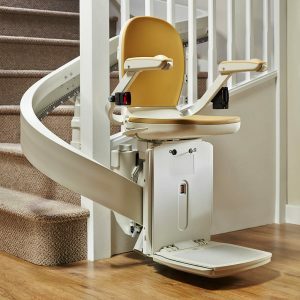 The Handicare 2000 curved stairlift track system is tailored to your individual staircase, ensuring the best fit possible from any of our curved stairlifts. 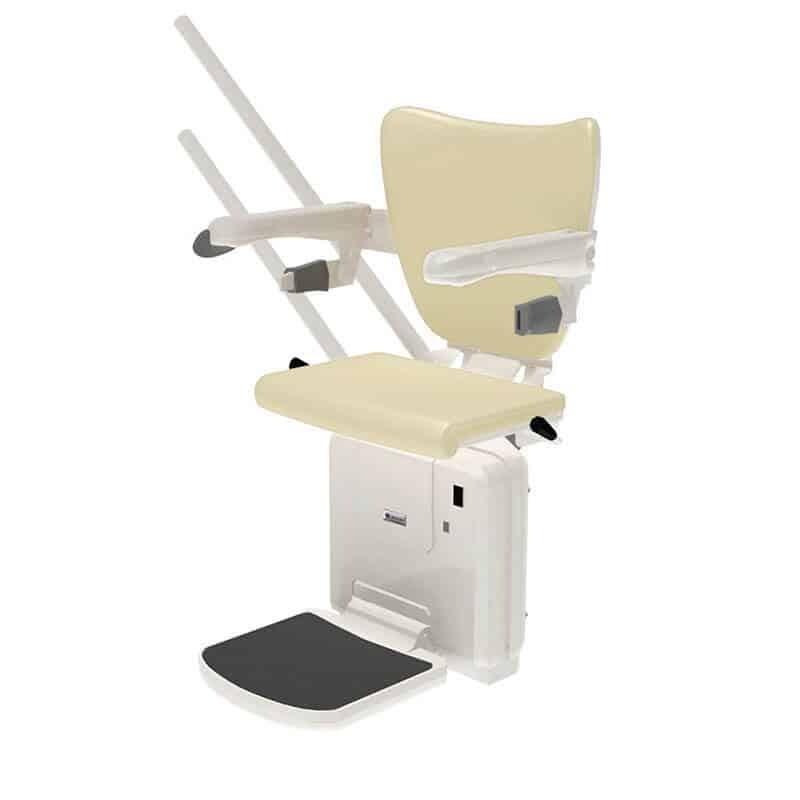 It comes with a carriage and seat which offer you all the basic functions that you would expect from a leading manufacturer, plus the choice of 6 upholstery colours – Sand, Jade, Ruby, Sapphire, Cocoa and Slate. 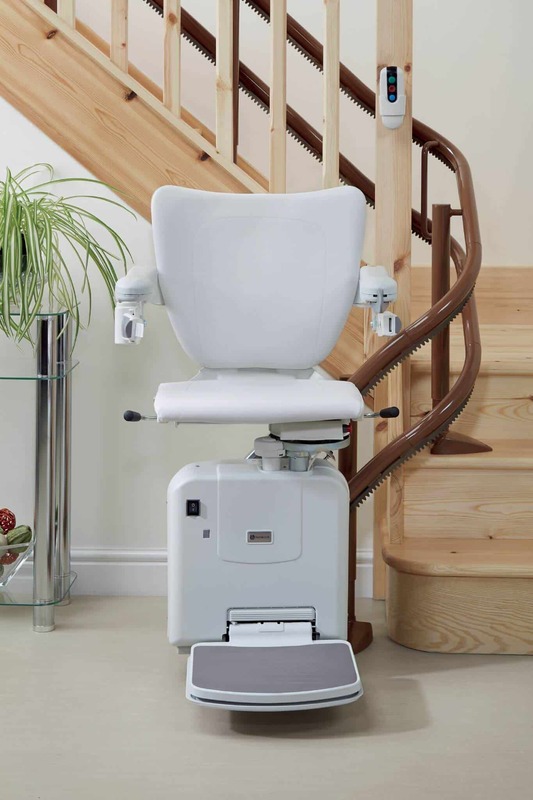 Add to that the option to upgrade to a powered folding footplate or power swivel seat, and you’ll know why our Handicare 2000 curved stairlifts are so popular.